Capable for HDD/SSD External and Internal install. 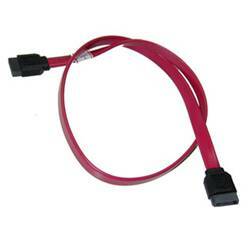 Support Maximum Speed Up to (6 Gb/s) SATA 3.0 Standard Transfer Rate. All Cables tested fulfilled under EMI protection and flexible type cable in RoHS compliants. Standard Transfer Rate for old SATA II HDD/SSDs.